Fits Frame Size: 15 Ft.
Special Notes: This mat is made to be compatible with the very popular 15' frame size Bounce Pro / Sports Power brand trampoline which was commonly sold at Sam's Club over the last several years. 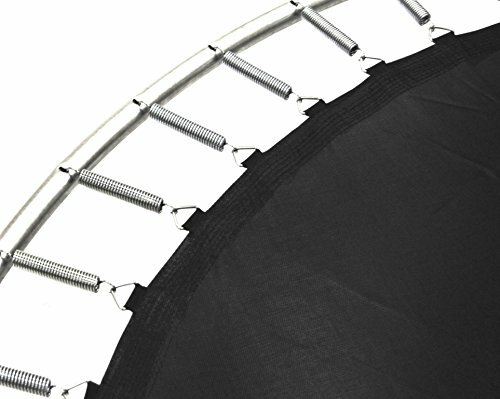 The 15' Bounce Pro / Sports Power trampoline featured either a 3 arch enclosure system around pre-2012, and then around 2012 or so switched to have a 6 straight-curved vertical pole with top-ring enclosure system, and typically had a blueish-green safety pad on top of the springs. This mat may also be compatible with Propel trampolines as well. If you have any questions about this product by SkyBound, contact us by completing and submitting the form below. If you are looking for a specif part number, please include it with your message.